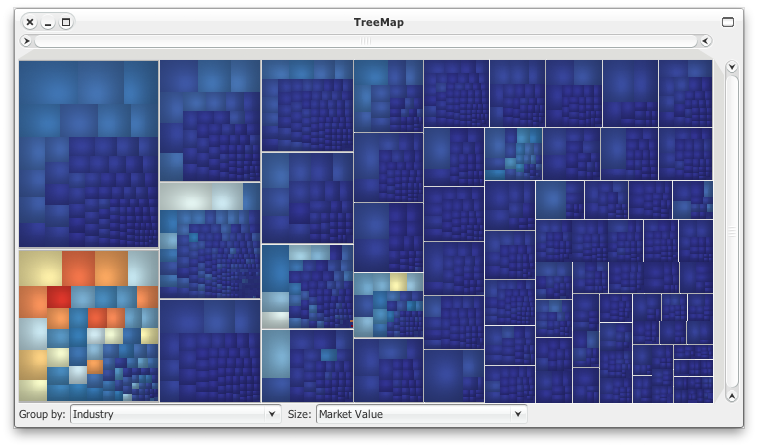 The TreeMap view shows how values are distributed for each variable. At the top of the user interface, you will find the TreeMap view that corresponds to the chosen settings in the Configuration and Axes panels. For each axis, items are grouped into bins those width is proportional to the number of values.